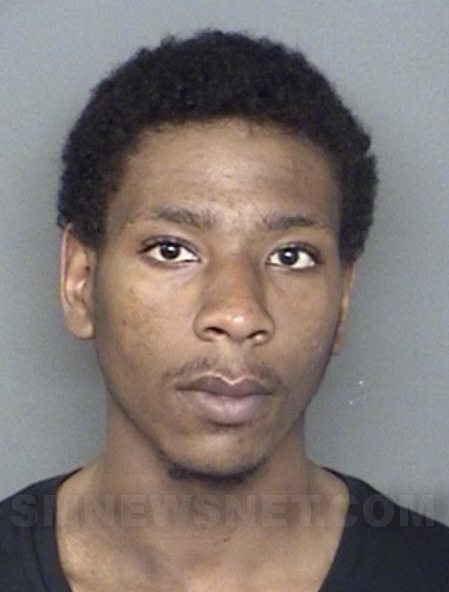 State police from the Leonardtown Barrack arrested Daitoine Vincent Payne, 18, of California. Payne was arrested for threatening a homeowner with a handgun last Sunday afternoon in St. Mary’s County. Police are still searching for one more person involved in the incident that occurred on April 7, 2019. Payne is charged with first-degree assault, second-degree assault, reckless endangerment, possession of a handgun in a vehicle, loaded handgun in a vehicle, handgun on person, loaded handgun on person, use of a firearm in a felony or violent crime, disorderly conduct, disturbing the peace, disturbing the peace / loud noise. Police believe Payne acted as the shooter in the incident. After receiving a tip, troopers from the Leonardtown Barrack located Payne shortly after 8:00 p.m. last night at his residence on Coledorall Court in California. Payne was taken into custody without incident and transported to St. Mary’s County Detention Center where he is currently being held without bond. At about 2:30 p.m. on Sunday, April 7, 2019, a trooper from the Leonardtown Barrack responded to the 21000-block of North Essex Drive, Lexington Park, for the report of a shot being fired from a vehicle. The suspects reportedly fled the scene in a Toyota SUV. The trooper located the suspect vehicle on West Westbury Blvd. at Wilcutt Street and initiated a traffic stop. The driver pulled over and the two passengers fled on foot. The driver, later identified as Antione J. Bowman, 19, of Lexington Park, was taken into custody at the scene of the stop and later charged with first-degree assault, reckless endangerment, and accessory after the fact. Troopers contacted the victim in the 21000-block of North Essex Drive. He reported the suspect pulled out a revolver and fired one round toward the sky. He then pointed the revolver at the victim and said, “The next one is for you.” He was not injured in the incident. The search for the third suspect is continuing. Anyone with information is urged to contact the Leonardtown Barrack at 301-475-8955, or by email at msp.leonardtown@maryland.gov. Callers may remain anonymous. This entry was posted on April 11, 2019 at 9:06 am and is filed under All News, County, Crime Solvers, Law Enforcement, More News, St. Mary's News, St. Mary’s County Crime Solvers, z 600X120 Top Ad Bottom, z Police Ad Top. You can follow any responses to this entry through the RSS 2.0 feed. He’s guilty, no question about it. It’s so easy to buy guns around here. Why buy when you can steal? More petty grievances attempted to be solved by using a gun. We have an extensive history showing this approach doesn’t work, but people keep trying. Dumb. No doubt they left out that the bunny boy stole the gun or it was a stolen firearm. He isn’t old enough to legally buy it. Tough guy aren’t you needing a gun for your battles. You are a straight punk *** *itch. Fight like a man with your hands. Parents need to do more to raise their kids and stop waiting for our courts, schools, and communities to do their jobs. Today individuals are committing crimes breaking into other people homes and doing as they please. Walking around carrying guns as young as 14, 15, 16 and up. They are (kids) bringing guns to school while the parents are too busy to even check their kids’ book bags to see what’s in it. Something needs to be done to get parents more involved, with their kids in the communities, schools, and other activities. All kids are our future, and we need to do more to keep them on a positive track so, that they may grow up, and be a positive role for their selves.